Hi John! I am returned from a back-to-back-to-back. It was wonderful! My CD was Marcelo Alvarado and, needless to say, he was fantastic – great sense of humor, attention to detail, entertainment. From the first week, July 26, I would like to recognized my cabin steward Michael. He was very detailed in taking care of me (I traveled solo). He made me a towel animal zoo, some of which I moved to the next cabin that I had on the following cruise. A birthday cake made of towels and a monkey bearing a birthday card were the cutest! In the dining room, Reynaldo from the Philippines and Peter from Hungary, are to be commended. Peter in particular, was the one who ran off to pick up orders and to dance (boy, did he dance!). But he also knew what I and the others at the table wanted and would note that I had did not have what I wanted and would correct the matter without me saying a word. Although they were moved around at the end of the first cruise, I would still see these two gentlemen throughout the other two cruises and they would still be friendly and quite helpful. Mr. V, my maître d’ was great! He danced, he sang, and ran a tight ship. Dinner was quickly served and dessert was normally ordered before the dining room entertainment began. The second cruise, July 31, Imade was my cabin steward. He remained my cabin steward for the third cruise also. He exceeded my expectations. Kept me supplied with ice, continued my towel zoo, and was always friendly, although he was busy, busy, busy. Now – overall, as I mentioned previously, the ship is gorgeous. I look forward to seeing it after dry dock. I fell in love with the colors and the decor. The food was hot and it was good. Inside and out, the ship was clean. The first part of my cruise, the Past Guest party, just happened to fall on my birthday. What I treat it was when Marcelo announced that no diamonds were present and that I was on my milestone cruise! I was blessed to be the one to be photographed with the ship’s officers! The entire 14 days were filled with special treats and surprises for me. It was fantastic! Marcelo was terrific in his CD duties, the other officers and staff members were very kind throughout the cruises. But the one that really stood out was the captain! He told me that he was going to sing down in the Latin Lounge and he kept his word! It was fantastic. I was sad that he was leaving before me, but the captain who replaced him is just as cool. Please thank them all for making me feel like more than just a passenger – more than a guest – but a friend! What a fantastic review and what a brilliant advert for the Carnival Victory this is. I can tell you that there will be many happy crew indeed when they see this as will the senior managers, as well. I know how much joy and kindness you bring to them whenever you sail and for that I thank you. I hope we see you again very soon and, as always, if there is anything I can do for you, please let me know. Best wishes. Your KAN fans make me nauseous with their begging. What happened to earning a ship on a stick and buying gifts for family not getting licking the supersized cruise director’s backside to do it? Cruise directors are all the same, they sound the same and all do the same tired old jokes. Do not worry Heald because you are my second favorite cruise director AFTER EVERY OTHER CRUISE DIRECTOR CARNIVAL HAS – LMAO. You’re right, we do have a brilliant group of cruise directors, so thank you for taking the time to mention that they are all your favorites. I am sure that will make their day. I will address the other part of your comment later in the blog, if I may, because I need to give that some serious consideration. I may not be your favourite cruise director but if there is anything I can do for you or your family, please let me know. Best wishes. We just returned from the Alaska cruise and had a wonderful time. On both of our shore excursions, we were encouraged to give feedback to Carnival for further recommendations. I asked at the shore excursion desk on board how we give feedback and was told to log on to Carnival. However, I do not see a place for feedback. Thank you for directing me as to how I can do this. Finally, you are very funny and we enjoyed attending events you hosted and watching the Morning Show with you and your assistant. I hope you did, indeed, have a brilliant time here and I would ask that you send me all the excursion feedback here to the blog. You can mark it as “not for posting” if you wish and I will then send it to our Miami beards in charge of this department. If there is anything else I can do for you, please do let me know. Best wishes. This request is for my booking ****** on 10/9 Carnival Liberty. I suffer from serious claustrophobia and have doctor’s letters and evidence to back me up. I have asked for an upgrade to a balcony but have had no cooperation from Carnival. This is terrible care and customer service. Can something be done for me because I just cannot stay in a cabin with no window or with a balcony and cannot afford to book an upgrade to one??? At this point, Carnival Magic will not undergo a dry dock before you sail next June, unfortunately. Regardless, the ship has lots of great places to enjoy wonderful food and I am sure you and your friends will have a brilliant time. Please let me know if you have any other questions. Best wishes. I am part of a group of 18 cabins booked on the Carnival Conquest 9/21. We are all huge NY Giants fanatics and need assurances that the boat will show the game with the Falcons on 9/25. This would have a serious negative impact on our cruise if you guys do not show this and there will be 32 very angry people. What assurances can you give me that we will have the game shown and shown on the giant screen? I am afraid I can give you no assurances at all right now. We can only show what our satellite provider sends us and while we do have Fox as one of our stations, it depends on what feed we get if the game is shown. I will be able to confirm if we can or not a few days before the cruise when I will post the NFL games the fleet will show on my facebook.com/johnheald. As for the game being shown on the big screen, well that is at the cruise director’s discretion and sometimes we keep to the movie schedule as the movies are, for the most part, more popular with guests and so the game will be shown in the EA Sports Bar. I hope that you will realise that there is far more to look forward to on the cruise and not worry too much about the game. My husband has a healthy appetite LOL. Are there any rules on how many items he can order from the menu? 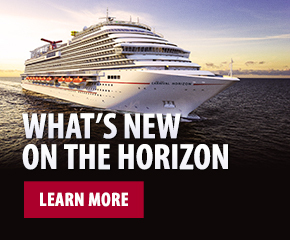 We are doing our first-ever cruise August 24 on the Carnival Sensation. I have been told the restaurant has booths. Please can we not sit in a booth? My husband is a big man 350 pounds. He will not fit in the booth. Thank you, sir, for answering and helping me. Yes, indeed, let you husband order what he wishes and I am sure he will enjoy the wonderful food selections as I’m sure you will as well. I will send a note to the maître d and ask that he put you at a table and not a booth. I hope you have a brilliant time and I am sure this will be the first of many. Best wishes. Hi John: Could you please tell me if there is going to be a pirate day on the Carnival Dream in September? I would love to show my pirate pride but will not bring the costume if not needed. Thank you for all you do. Love ya. It will be on September 19 and, if you go back to the blog a couple of weeks ago called Pirates of the Caribbean, you will find all the details there. Thanks so much for the kind words and please let me know if you have any other questions. Best wishes. Hi John: I’m very proud to let you know that my next cruise on the Carnival Glory will be my 100th Carnival cruise. The caveat is since 1992, I have 65 officially. However, I’ve been cruising CCL since 1979. If I combine all of them, the total is 100. My wife and I have enjoyed every one of them and the special treatment afforded to diamond members. Thanks for your attention. Many congratulations and many thanks for your amazing loyalty, it is truly incredible. Do you have any proof of the cruises before 1992 such as tickets, boarding pass, photos, etc.? If you do please let us know at cclsupport@carnival.com and we will be glad to add those to your cruise days. Please also let me know if there is anything at all I can do for you both and I wish you another brilliant cruise. Best wishes. I love Carnival and my son and I hope to continue to cruise every six months or so. But on our last cruise on Carnival Sunshine, my new luggage was destroyed in the transfer between check in and getting to my room. The damage and reimbursement was promptly handled by Carnival and I replaced the luggage buying a new replacement in Belize during the cruise. Then when I retrieved my luggage in the customs clearance area upon disembarking, the new luggage was also destroyed. Again, Carnival has promptly handled my complaint and reimbursed the full cost of the luggage. Question: can I cruise using heavy duty garbage bags? Will my experience with this damage be covered with baggage handlers? Are there any negative consequences for the handlers or perhaps some sense of accomplishment for the damage, especially damage going and coming for one guest? Goodness me, that is very unfortunate and I apologise for this. It is also very rare and, while I congratulate my colleagues for their fast actions to help resolve this, I am still shocked that this happened to you twice. The answer to your question, I guess is yes, although I cannot remember anyone ever doing this but if you feel comfortable doing so then I guess you can. The chances of this happening again must be minute, though. I hope your next cruise is incident free and if there is anything I can do for you before you sail again, please let me know. Best wishes. I have a quick question. Can I buy the Cheers program for myself only? My wife dos not drink and it would be crazy for us to have to purchase two Cheers stickers. I will still drink and be merry either way but it would be nice to have this option. Unfortunately the current rules do dictate that everyone over 21 in the cabin use the Cheers program. Therefore, in this case, it may then not be the best option for you. Please let me know if you have any other questions. Best wishes to you both. Can you find out who won the hairy chest contest aboard the Carnival Glory, May 31st sailing? We love Carnival and are Platinum members. Our next cruise in September 21 on Carnival Breeze. Thanks for your help. I am afraid I can’t. We don’t keep a register of the winners of this contest. Sorry, I could not help and I wish you a wonderful cruise and thank you for your loyalty. Best wishes. We are currently on the Carnival Legend and have just gone through the Panama Canal. I must say it is has been a wonderful journey. I did want to share, because I responded to your Facebook comment a few months back: Have you always been greeted by our cabin steward… and I said yes always. However, not that our room has not been up to par, because it has, it wasn’t until day six was there a card in our room announcing our cabin steward. I found that a little awkward to say the least. We have been well taken care of; just unsure which room service individual was ultimately responsible for our room. I hope this was just a drop in the hat and Carnival is not taking that greeting away, because it was that special touch that always made us feel like we were so welcomed to be here. Again, please note our room has been fine, we had to ask for ice and got a recycled towel animal (two nights in row), and I say that because it was on the counter when we left for dinner and then fluffed and put back on our bed that evening. Please this is not to get anyone in trouble or spoken too, I just thought I would share with you. Thank you for writing and I hope that you had the most wonderful time on the Carnival Legend during this special voyage. This comment is very unusual because we absolutely are not taking the embarkation greeting away as we feel it is a very important part of the service our wonderful cabin stewards provide. I am not sure what happened in this case but I assure you it will be passed on to the housekeeping manager and the hotel director for their review. 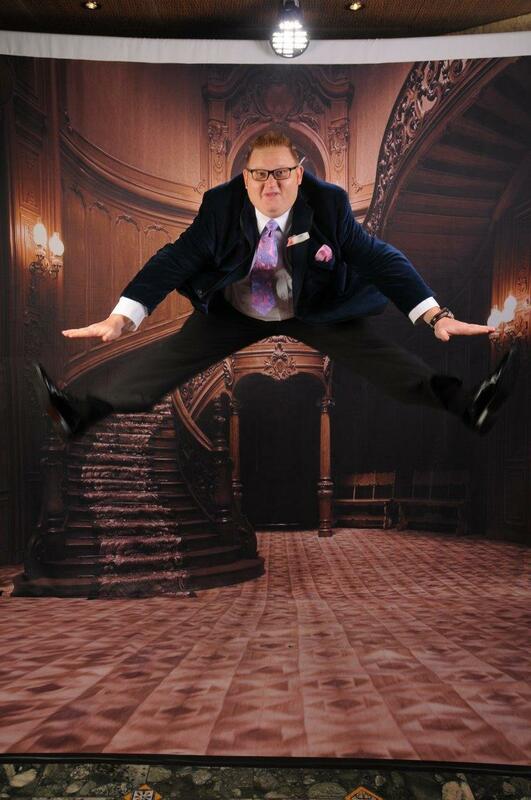 I do apologise and, again, I hope you had the most superb time. Please let me know if there is anything else I can do for you. Best wishes. I am traveling with Bettye Sue Evans and cousins on Carnival Elation on September 6. We are “the next generation.” I sleep with a C-PAP machine and I need to know if I will find an outlet near my bed. Will I be able to order distilled water for my humidifier chamber? Thank you for any assistance you can give. We, unfortunately, do not have a power point next to the bed but please do not worry. You can bring a good quality extension cord with you or tell your stateroom steward and he or she will provide one for you. Please let me know if there is anything I can do for you and I wish you the most wonderful time. Best wishes. If Carnival were treating their loyal guests properly, they would not only show concern when service failures occur, but also show proper guest relations to all guests. If Carnival wanted to prove they valued us as a loyal consumer, they wouldn’t devalue your benefits or put a price on your loyalty via programs, such as Faster to the Fun. Get rid of Faster to the Fun and make us VIPS happy again. It is what your customers want if you take the time to ACTUALLY LISTEN TO THEM. Thank you for your loyalty and I hope, on your way to achieving your Platinum card, that you have enjoyed the service and the fun that our crew have always provided and the affordability of the cruise. Faster to the Fun is offered to a limited number of guests so it really does not impact your cruise and please remember that when we added this, we added two more benefits to the Diamond and Platinum guests: express luggage service and your stateroom being ready as soon as soon as you board. 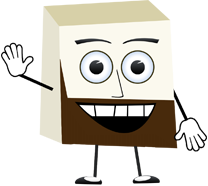 We are listening, I assure you, and I am here if you would like to ask me anything at all. Hope to see you soon. Best wishes. I was on Carnival Miracle with you John last week. I was one of the passengers who complained about the fog horn blasting all night I’m a very light sleeper and, due to my various medical conditions, not getting a good night’s sleep makes me very lethargic. I should have been told that there might be fog when I booked this cruise with my PVP__________. No money was offered to me which I think shows that Carnival does not care about me. I had two nights with little or no sleep which meant that those days I had to nap and miss lots of what was going on. Carnival needs to give this more thought because I am sure I am not the only one who had their cruise ruined by the fog horn and no sleep. I am so sorry that your sleep was disturbed and I totally understand that with the medical conditions you have, this disturbance causes you discomfort. I wonder, did you try the ear plugs guest services gave you, did they help? The weather is unpredictable, as you know – fog can happen just about anywhere – and, obviously, we have to sound the horn every two minutes while in fog and do so under maritime laws. Again, I do sincerely apologise your sleep was disturbed and I hope that you did enjoy the fun and the incredible beauty of Alaska. Please let me know if you have any other questions or if there is anything else I can do for you. Best wishes. John: As a long time Carnival sailor coming up on cruise #12, we have never had any issues and loved every cruise. My question is this, a couple of months ago, my wife’s twin sister passed away. She was cremated and we have her ashes in a biodegrable shell urn. We would like to bury her at sea and raise a glass of wine to her in her memory. We will be cruising on 9/28 on the Carnival Dream. Does Carnival permit burials at sea? Thank you. I send my sincere condolences to you for the loss of your sister-in-law. Please know that I am able to help you organise this. I wonder if you would contact me on my facebook.com/johnheald page three days before the cruise and I will make all the arrangements for you. Best wishes to you all. Hi John! Just a few words of praise to maybe help balance out all the negatives you get. I met you on the last bloggers cruise on the Carnival Sunshine. Before meeting you and hearing you speak I had never read your blog. Boy, was I missing out! You were so kind, personable and funny when we met that it led me to check out this blog everyone was raving about. I want you to know just how much you brighten people’s day with it. I look forward to my daily giggles as I am sure many more do. I would LOVE to have you for a CD on all my cruises! Thank you so much for the daily bits of joy you bring to so many people. I’m not really sure why the negative people feel the urge to demand you live your life as they think you should. However, it really cracks me up to see your replies. I don’t know how you are so nice answering these people either. Not many would be. Just know that you have tons of people who love reading this blog. Carry on with the fun! Also, do you know who the CD and the comedians will be on the Carnival Dream the week of 9/5/14? My wonderful hubby and I are taking our first vacation, without any of our four children, for the first time in 18 years to celebrate our 20th anniversary! You, Carnival and all of your amazing employees always go above and beyond to make our cruises wonderful and give my family some very precious memories. Those are wonderfully rejuvenating words. Thank you so very much for taking the time to write to me and I do sincerely appreciate them. I also hope we get to cruise together one day soon and meanwhile, you will be on the Carnival Dream in a few days. Your comedians will be Dwight Slade, Kyle Grooms, Jeff Jena and Bob Gould. Please let me know your cabin number the day before the cruise on my Facebook page if you can and I wish you a happy anniversary and loads of fun. Best wishes. 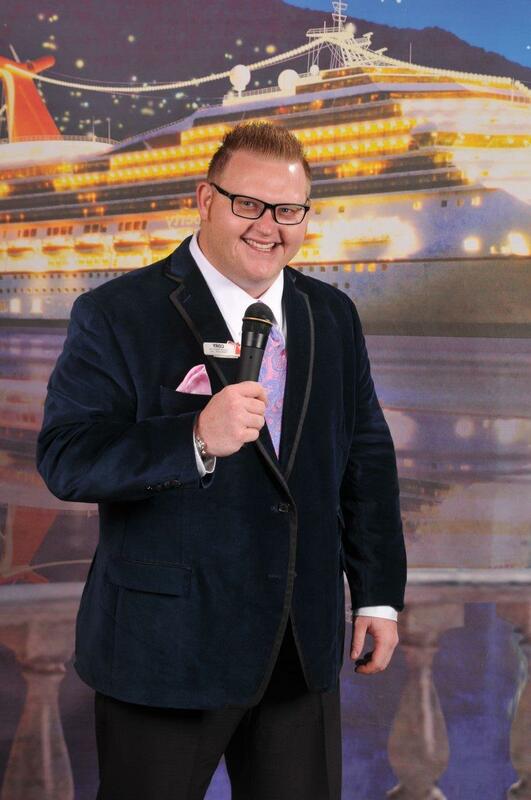 Would you be so kind as to reassign Ken Byrne, the singing maitre d’, to the January 31, 2015 sailing of the Carnival Breeze out of Miami. I know you have incredible influence with Carnival and we have sailed with Ken several times before and do so much miss his level of professionalism and crooning. Thank you John. By the by, you were our cruise director on our first carnival cruise. That was on the Carnival Triumph in 2004…perhaps you could join us also on the cruise along with Ken. As it turns out, that is my annual Bloggers Cruise and, indeed, I can confirm that Ken will be the maitre d for that voyage and the one before it on Carnival Breeze. I will see you there for loads of fun. Best wishes. We have enjoyed Carnival but have a big complaint. My sons are 12 and 10 and both are platinum VIPS!!!!!! What am I supposed to do with a coffee cup for them? Kids do not usually drink coffee!!! Carnival needs to get a grip with this because my kids are VIPS too. I would suggest credit for video games and a VIP T-shirt with a cool kids design on it. These are things kids appreciate, not a stupid Made in China coffee mug!!!! Thank you so very much for the brilliant loyalty you have shown and how superb that your children are platinum at such a young age, how lucky they are. I agree that the coffee mug isn’t the most exciting gift a child can receive and with many younger platinum guests we do need to take a look at what we can do. Leave this with me then and I will chat with the beards. I hope we see you soon and thank you for your continuing loyalty. Best wishes to you all. Hi John: I’m on the Carnival Legend in Grand Cayman prior to the Panama Canal crossing. In August 1914, the Cristobel was the first ship to cross from the Atlantic to the Pacific through the canal, exactly 100 years ago. I’m disappointed that there is no recognition of this event on board (logo wear, lecturer, and even verbal comments by staff). Passengers are generally older and I’m sure they would be fascinated. Having read “Path Between the Seas” before this trip, and the fantastic story of the Canal (de lesseps, Eiffel, Teddy Roosevelt, intrigue, trickery, treachery, disease, engineering) a great opportunity is being missed! First of all, I hope you are enjoying this amazing voyage and having the most wonderful time. Because this is a one-off voyage, I guess the company that runs our shops decided not to go to the expense of producing lots of logo wear that may not sell because, if it didn’t, they would be left with merchandise that we would have a difficult time marketing after the voyage. But I agree it would have been nice to have something that stated where the ship had been and I will pass on your comment to the right people. Best wishes. John: We just got off the Carnival Miracle today. I do hope new cruise directors learn from you as you have been the most engaging one I have seen so far. Huge thank you to the Circle “C” leader, Courtney, who made my daughter’s experience a blast and Denis, one of the supervisors on the Lido deck for tremendous customer service. In response to the gluten-free post from before, we have a son who is nine years old and was diagnosed with Celiac disease six years ago. One of the reasons we have continued to cruise with Carnival is the ease of feeding him on the ship and the selections he is able to get. When we go to the Lido deck, talking to any of the supervisors and explaining the issue, someone will bring you lunch (or dinner) that is not only tastes good but causes no issues with his diet. Dinner at the main dining restaurant, we saw the menu the day before, it would be ready for him when he arrived. Except for a few specific dishes that specifically are breaded, he was able to have whatever he wanted. A gluten-free chocolate melting cake was and has been his favorite dessert. I would learn how to make it but then we would not have an extra reason to cruise. Thank you, those are wonderful words of praise and I will make sure that Courtney and Denis see this. It is nice to read that our efforts to make those who suffer from gluten allergies have a more enjoyable cruise are appreciated and I will let the chef know how much you enjoyed the selections we served. If there is anything I can do to make your future cruises with us more enjoyable, please do let me know. Best wishes. I find it strange and, yes, insulting actually, that Carnival does not have a private return party for platinum VIPs like me and my DH. We were on the Celebrity Solstice last week and had our first cruise at Elite level and they gave us a private cocktail reception. Compare this with the one on the Carnival Freedom where we were herded like cattle into the big theatre with all the other cruisers who were not Platinum. I saw mostly gold colored cards which was unsettling. I think Carnival should do more for us like Celebrity took the time to do. Just sayin. Thanks, first of all, for cruising all those times with us and I hope you will keep doing so and therefore reach Diamond status. When you do, you will see that we have a private function for our Diamond guests with the Captain and other senior officers. Until then, we will invite you to join us for our VIFP party which I am sure you will enjoy. Hope to see you soon. Best wishes. John: My wife and I have booked the Hawaii cruise for November 2015. We did this cruise on the Carnival Spirit in 2011, and, by far, this was one of our most favorite cruises. Our only disappointment was the lack of Hawaiian food offerings on the cruise. With the new American Feast/American Table menus, will more Hawaiian food options be available for this cruise? Also, will they plan a luau for this cruise? Thanks. Part of the appeal of our new American Table menu is the variety and, included in that are the Ports Of Call selections. These feature traditional dishes from where the ship is calling but I’m not sure when the new pilot program will be on the Carnival Spirit, so I will have to check on this and get back to you. Have a wonderful voyage to Hawaii and I will let you know more about the activities and events closer to the time. Or, when the CD comes over the PA system with a rundown of the events of the day, then, hopefully the guest will listen because once again they recognise the voice and know they need to listen. By the way, nobody gives you any training in the use of the PA system and trust me, it’s harder to use than you might imagine. First of all, you can’t hear yourself so it’s hard to judge volume and finding the right time to make announcements and, even more importantly, the right length is also very difficult. Ultimately, you are always going to disturb someone. I don’t mean in the cabins as we only make announcements inside the staterooms when there is something we feel the entire ship needs to hear. What I do mean is that, with speakers in the guest corridors, you may disturb someone who is still asleep at 10:30 am or disturb someone having a nap in the sun or simply disturb someone who was seeking a little peace and quiet. However, we need to get the information out there. Now, I read the occasional comment that says people think we should not use it all and they don’t care about what’s on sale in the onboard shops or what the drink special of the day is. “You are just trying to make money,” they say. Well, granted, we do like to advise people of the various specials and promotions so they visit our retail outlets, of course – it would be silly to suggest otherwise – but there are lots of people on board who use the announcements to keep up to date with what’s going on throughout the ship. Now saying that, we should keep the announcements to around three per day. I tend to do mine on a sea day at 10:30 am……1:00 pm…….and 7:30 pm and try my best to keep them three minutes or less……sometimes……and I know this will be hard for you to comprehend ….. but sometimes I do waffle on a bit. I do, though, always try and keep the announcements entertaining and as well as promoting the revenue areas I try to add a big dollop of humor. And please, either here or on my Facebook page, feel free as always to tell me if the CD on your last cruise was clear over the PA or if the announcements were too long or too short or ……. well, you get the picture. Just as they have been in so many other areas recently your comments are so very important and I look forward to reading them. So, back to the game and, as I walked down the line and approached this lady and told her what I wanted her to do, she looked at me and said loudly enough that my microphone picked up her words, “This is why we should have cruised on NCL” — and walked off the stage grabbed her husband by the arm and out of the lounge to mostly silence sprinkled with a few boos from the audience. So, I made some joke…….can’t remember what but I think I recovered and then, of course, I was left with one person short for the game. I have so many memories of the spoon game over the years. There was the time when one man got the spoon stuck in his pants, he couldn’t get it out so do you know what he did? He leaned on me and then he unscrewed his prosthetic leg and took the leg off! You see, the spoon was tangled in the framework and he untangled it and the rest is just one big blur of uncontrollable laughter and applause from 1,000 people. 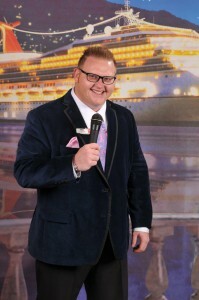 The cruise director can, if he or she wishes, really set the scene and that’s why in my humble opinion we have the best in the business with some very young and exciting talent waiting in the wings and here is one of those men who is out of the wing and firmly has established himself as a brilliant cruise director. Here he is. Tell us about your work experience and your journey with Carnival Cruise Lines so far? I have been with Carnival almost eight years and have loved every minute of it. I started as a social host aboard the Carnival Ecstasy and worked my way to assistant cruise director and now cruise director. This is the best job I have ever had and I would love to do this for a long time. What’s your favourite part of your job? Hosting events and shows and making people laugh and smile. You never know what people are going through and when you make someone smile who might be going through a hard time, it really feels good. If there is one event, show or activity that you host that our guests must not miss, what is it? I actually have a few. My Harry Potter Trivia (I dress up in full Hogwarts gear and pack out the lobby) and Comedy Open Mic night are my two favorite events. I have a lot more that I do and love but those are my favorites. Please share with us your favourite story from your time on our ships? A few years back, I had a group of patients from St. Jude Children’s Research Hospital on board from the ages of four to 12 and I made them all junior cruise directors and had them on the morning shows, they helped me co-host activities and events and they were amazing. Their smiles and laughter were so uplifting. Favourite bar or lounge on one of our ships? I love the EA Sports Bar. Great fun, drinks and video games. What more could a man ask for? How do you relax? In my off time, I like to take frequent “cat naps” and play video games. And if you could meet any famous person in the world, who would it be? It would have been Robin Williams. RIP. He was truly an inspiration to us all. He was and still is my favorite Comedian. Nanu Nanu! I would now say LeBron James as I would love nothing more than to challenge him to a game of one on one. I would win! Thanks, Cory. I guess I will have to watch an episode of this Family Guy as I have never seen it. What I have seen are many wonderful comments from guests who have sailed with you and I am sure that you made them feel part of the Carnival family. Congratulations, mate. And from one Family guy…………to another………me. So this will be my last blog from Alaska and how best to summarise my time here. There is so much I could say but in this case I think I will keep it simple and short. Why I never did Alaska before now is something I regret. I have been the cruise director for 12 new ship startups and because we never put a new ship in Alaska after Carnival Spirit, I never got to come here. It has taken 28 years for me to realise that cruising here is something that is quite incomparable. It is laid back cruising, it is whales, glaciers, bears, treks, trains, panning for gold, Skagway, Juneau, Ketchikan, halibut, crab, Yukon, helicopters, sea planes and more WOW moments than I have ever seen from a cruise ship. I will be back here next year on the Carnival Legend……. why not come with me? At the end of this eight-day cruise, I will hand over the reins to the very talented Troy Linton who will take the ship to Hawaii, California, dry dock and beyond and I wish him all the best. I, of course, fly home for a reunion with my girls and with Mum who needs me more than ever. This has been the longest period of time that I have been without my family since……..well, I don’t remember and I continue to feel guilty for being away from them so much. But this is the life, it is what every crew member faces and I now look forward to being home with those I love so very much. I will have 10 days off from Facebook starting on September 9 when I have to pack and prepare my handover and reports for Troy. So I will not be answering questions on Facebook but keep the requests coming each day as someone will send me them along with anything urgent. My return date on Facebook and the blog will be September 22 but, of course, you can expect any news items plus some terrible attempts at humour by me each day but, for the most part, I will be on social media vacation. This is the longest I have been away from my family and I miss them more than words can ever describe. I want to thank Heidi, Kye and Mum for allowing me to continue to do this job I adore so very much and the guilt I feel about being away from them is immeasurable. But this Alaskan season has been one I will cherish forever and I have enjoyed sharing all my adventures with you and I look forward to doing so here and on Facebook in the days ahead. Thank you, then, for your continuing friendship.